Russia's Foreign Ministry says it will limit entry into the country for a number of Ukrainian politicians. It calls it 'an adequate response' after Ukraine declared Moscow's Mayor Yury Luzhkov persona non grata. 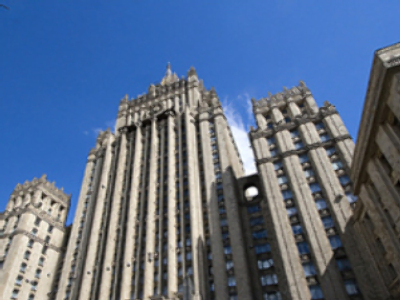 The Ministry's statement suggests that people who would be unwelcome are those whose 'actions and statements harm the Russian Federation'. However no names were revealed. Luzhkov was banned from entry into Ukraine after the celebration of Russia's Black Sea fleet anniversary. Then he said the status of Sevastopol was not settled and could be brought to the international court. The Ukrainian Security Service said the Mayor's words were a threat to the county's territorial integrity.